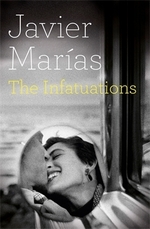 Tomorrow in the Battle Think on Me is a gripping and moving meditation on the hold that the dead have over the living, by Javier Marias, whose highly-anticipated new novel The Infatuations is published in 2013. Victor, a ghostwriter, is just about to have an affair with Marta, a married woman, when - in the bedroom, half-undressed - she drops dead in his arms. He panics and slips away. But Marta's family are all too aware that she was not alone when she died, and Dean, the widowed husband, is determined to find out who was sharing her bed that night. Victor, accustomed to a life of pretending, finds that he cannot live in the shadows forever.